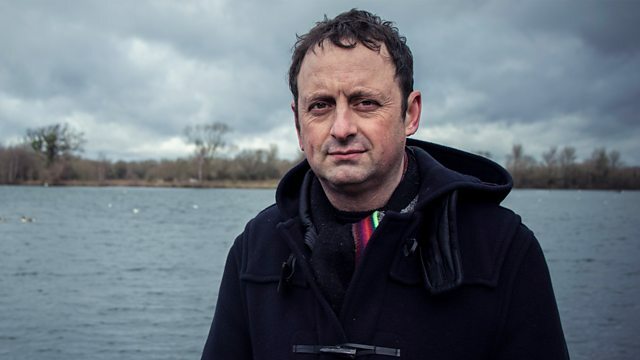 Matt Allwright presents a Lifeline appeal for Together For Short Lives, a charity that supports families with a child or young adult suffering from a life-shortening condition. Browse content similar to Together For Short Lives. Check below for episodes and series from the same categories and more! that is the worst information you will ever hear. They're not able to say six months' time or a year's time. They don't know how fast it will happen, but it will. No parent ever wants to contemplate their child dying before them. were expecting their first child. Just like we'd won the golden ticket. We were like, "Do you know what? "I'd pick us. Because we're so happy." "OK, there's a massive problem. "There's, like, a really big problem with your baby's head." Ben was just shaking. Didn't know what was going on. Said that he was going to go out and call his mum. And I thought, "He's been gone a bit too long." "I saw him, he had a fit and he's banged his head really hard." Ben was rushed to A&E but fell into a coma. For the next week, he was on a life-support machine. He deteriorated massively and... and he'd gone. ..we had to turn off his little machine. may not survive childbirth, or have a very short life at best. I was feeling so isolated that I called by midwife friend. for however long she's here. "There are people out there that will help you." and what support is available locally. who can help them feel less alone. that was just such a beautiful experience for them. offering vital information, advocacy and support. to turn to who understands what they're going through. And he said, you know, "She might survive. "We can actually give her a fighting chance." He went, "It's probably not going to last too long,"
Josie documented her life in pictures. It's that feeling of being with your child, isn't it? Just...that she was here, that she was alive. was all the more important. Sadly, Billy-Rose lived for just six months. and we were just saying our last bits to each other. And it was very beautiful. It was time for her to go. diagnosis, with parents uncertain about what the future holds. however short that might be. and families have lives that are as fulfilling as possible. which is the best possible care. Not all children are diagnosed at birth. Some children, like Billy-Rose, will live a matter of months. Others make the transition to adulthood. Jonathan is her full-time carer. is that I was having problems with my kidneys and my bladder. Chelsea's condition deteriorated further when she became a teenager. My bladder doesn't work properly any more. My gut, not worked very well since I was a child. The breathing issues are the big one. I really wanted to believe that I was going to get better. At 22, Chelsea married Jonathan. Being ill through my life had taught me to really value who you love. me being full-time carer, caring for Chelsea. Chelsea was eventually told her condition was life-limiting. I try and put a brave face on it, but it gets to me some days. "the most of the time that we've got together and to be strong about it." they think of those kind of last few days and hours of dying. It didn't sound like somewhere I wanted to be. I thought, "I've got some life in me yet. "I still want to try and keep going." on finding a hospice that best suited their needs. It's helped me feel less like a patient. so they can learn from her experience. You know, it really gives us a chance to support the professionals. the families that they're working with. the lives of families facing the unimaginable. and information to those families. precious moment, no matter how short life may be. and the whole £10 goes to Together For Short Lives. ..writing Together For Short Lives on the back of the envelope. Matt Allwright presents a Lifeline appeal for Together For Short Lives, a charity that provides vital support for families with a child or young adult suffering from a life-shortening condition.